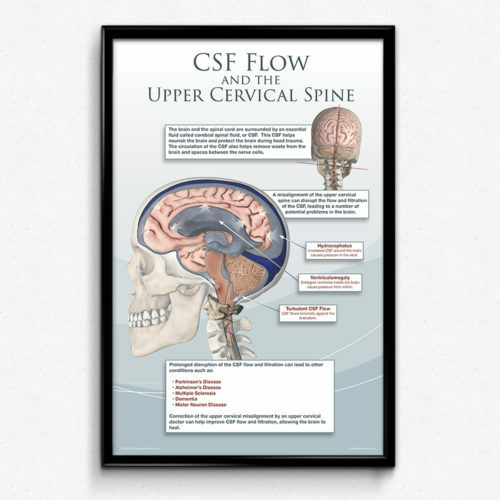 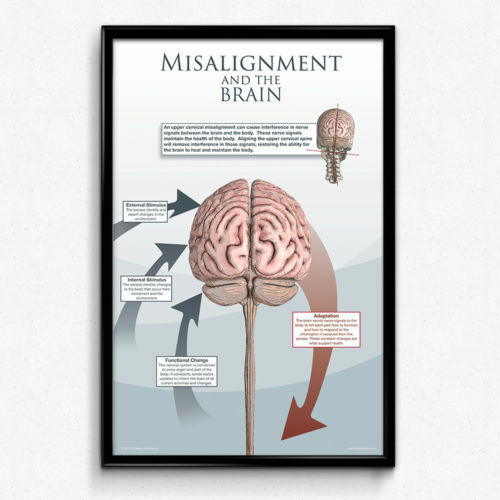 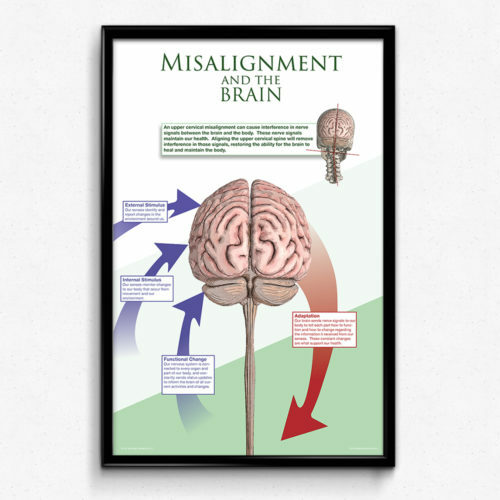 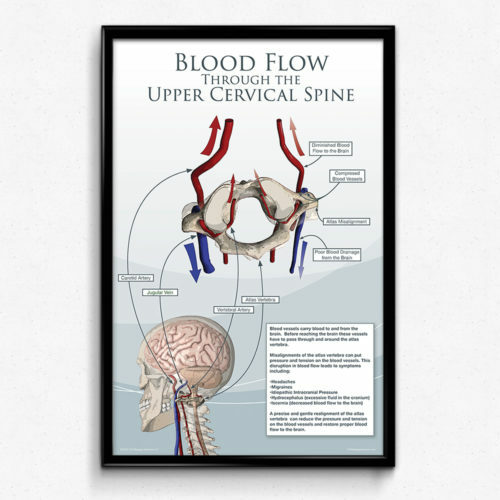 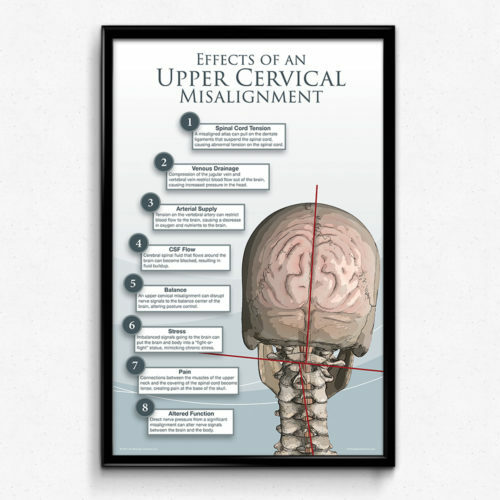 A patient-oriented reference poster for the Upper Cervical practice showing effects of an upper cervical misalignment on the limbic system. A patient-oriented reference poster for the Upper Cervical practice showing effects of an upper cervical misalignment on the limbic system. 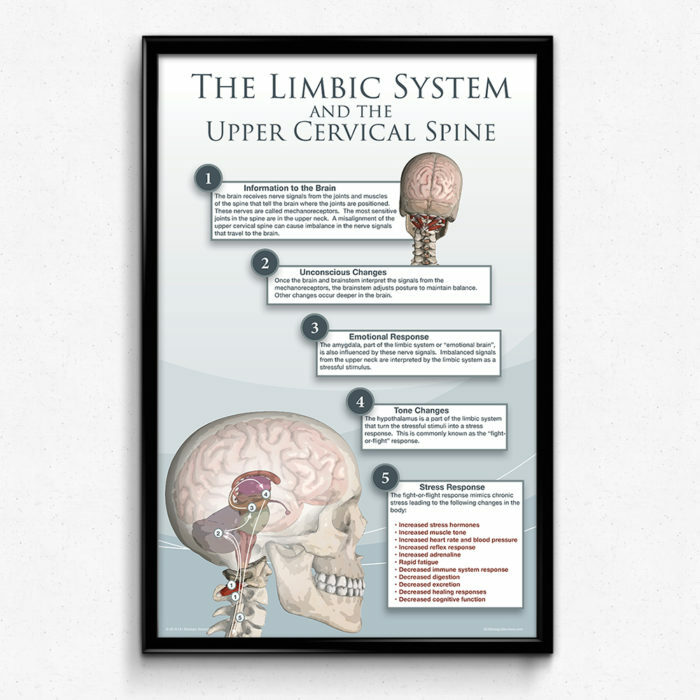 The large illustration shows the general path from the UC spine though the limbic system in the brain and down the spinal cord to effect the body. 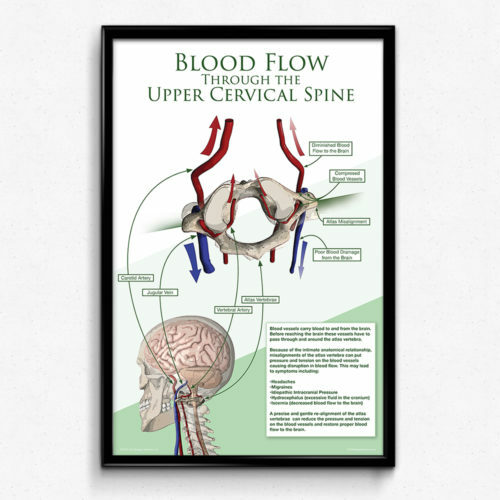 The numbers on the diagram correlate with the numbers on the description.